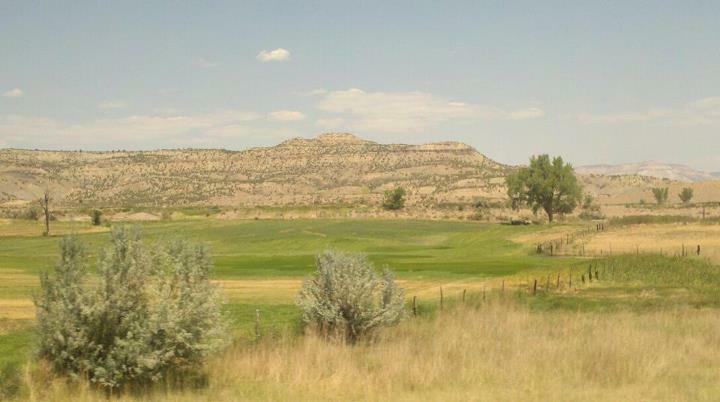 I r ecently spent some time crossing the country via train. Berkeley (Emeryville), CA to Ann Arbor (Ypsilanti), MI where I am making my new home. Moving is a time of exhaustion, planning, expense, calling in favors, more planning, more expense, and more exhaustion… and, if we can sneak it in, reflection. This is why I took the train (3 days of “retreat” where I didn’t have to worry about taking care of my needs and had terrific scenery) instead of the plane (a few hours of being cramped and annoyed by airport security routines). I wanted some time in retreat to reflect. I happened to be traveling in the last car (I don’t know when cabooses went out of style) and would sometimes make my way to the back window. A chance to look at where we had been. This can be a dangerous place, this caboose-less place. Allow me to explore this metaphor a bit more (knowing full well that I may just kill it in the process). 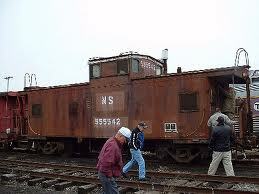 Wikipedia tells me that a caboose on a train was a space that provided shelter to the crew. 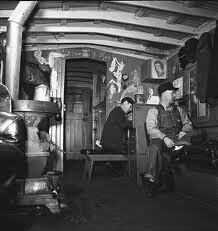 It often had a desk where the conductor could do business and keep records. And from this vantage point, the crew could watch for problems arising – dragging equipment, shifting loads, etc. They were fitted with lights at the end so that people could see the end of the train at night. In all, it seems that the caboose had a very important role in the functioning of a train – a vehicle of travel and transition. Transition is a time when things can be very confused… chaotic even. It’s a time of upheaval to our ordered lives when the status quo has been somehow upended and we no longer have much of a sense of security or even, sometimes, identity. Things seem to slip and shift, stirring about on their own and we sometimes find this unnerving, even frightening. And so, we fight it. We “refuse to die.” Which is, honestly, just about the worst thing we can do. We attempt to control transition in some way. We over-plan so that we can control every detail. Or we avoid and go to our “happy place” of denial. Or we “freak-out” and hope that some kind of savior will come along so we don’t have to change afterall. Have you experienced this? It’s as if we have a desperate attempt to avoid transition at all costs. We see it in all of our human systems – status quo wins out over transition nearly every time. It’s why we have “scapegoats” and “identified patients”. It’s why we affiliate ourselves with institutions and buy insurance. It’s why we pine for “days gone by” – an image made complete (in our culture) by a pitcher of lemonade and the swing of a front porch. As if that ever really happened – but that’s a whole ‘nother post. And this is where I think the caboose becomes important. Stay with me here. The caboose is a space of reflection while in transition. It’s a place of intentionality as the conductor takes care of business. It’s a place of rest as the crew often takes respite on long trips. It’s a place of care as the vantage point allows for more observation. It’s a place of closure as the lights signal completion of passage. While we move in this world, it seems to me that we can have a tendency to be overly focused on what’s coming at us and we strategize for this brave new world. Or we pine for what we believe is gone, looking back longingly until we somehow become permanently entrenched in a memory. Either way, it seems to me that this is not fitting caboose behavior because it’s not reflective. It’s reactive. Back to my story. As I stood looking out the window of the back of the train, wondering where all the cabooses had gone, I was aware of just how wistful a place it was. To be honest, part of the reason I’m making this move is because this is where I’m called to be. For someone like me, that sentence can have a feeling of being acted upon, as if I had nothing to do with this and I’m being forced into something I don’t want to do. And if all I do is focus on what I miss about living on the West Coast, then I won’t have really done my “caboose work”. Because when I really stop to think about what it means to be called – it’s really such a glorious invitation that it’s almost beyond my comprehension. Quite simply, to be called out of one life and into another is to be full-on invited into the Easter story. It’s resurrection. It’s a pattern of living into God’s presence that we Christians should know better than any other story in our Christian tradition. We are called as disciples of Christ to manifest this Easter story again and again and again. Being called to change is not about reinventing ourselves in a way that ignores our past – that is more of an American cultural tale. Being called to change is a resurrection that is only possible because of our past. It is a way of honoring all that came before and owning it so that we become what God is calling us to become. And we do the “caboose work” to make sure nothing is dragging the tracks as the Holy Spirit calls us forward into a new life. But really, here’s my point. In ministry development, we often think it’s about growing our numbers and/or adding new ministries. I would say those are potential outcomes – the exciting, pretty, sparkling ones. But at it’s heart, ministry development is about change. And that means honoring our past in a way that allows us to continue to become. It means letting go of where we’ve been and who we are, letting go of the place we’ve come to love so that we might hear the whisper of the Holy Spirit and embrace God’s desire of us – at this time and in this place – as the Body of Christ. How are you being called to change? How are you being called into new life? It’s not easy, this “new life” thing. Just ask Jesus. But that’s why he gave us those two commandments: love God, love your neighbor as yourself. This entry was posted in Reflecting and tagged fear, Holy Spirit, letting go, life, new life, resurrection, transformation. Bookmark the permalink. I really enjoyed this piece (which I found through an announcement of your new position in the EDOMI’s newsletter). I am excited for your new role in the diocese and hope your transition goes smoothly. Hi, Bob. I’m glad you enjoyed the piece! And thank you for your gracious welcome. I’m truly enjoying getting to know folks in the Diocese of Michigan and am delighted to be called to work here. Blessings to you! Thanks Michelle I pulled this up tonight and it fed me just when I needed it! You’re welcome, Rik! I was sorry to hear about your dear dog dying. May your memories of his time w you continue to bring you peace. Awesome post Michelle! Welcome to Michigan! I enjoyed reading your words as placed within reflection. Welcome to the Diosese of Michigan. Thank you, Linda! I appreciate you taking the time to comment. I’m glad to be here! when I heard of your arrival to the diocese, I had to check you out:) ; your post spoke volumes to me. Thank you for your words and for your welcome! Love your username.